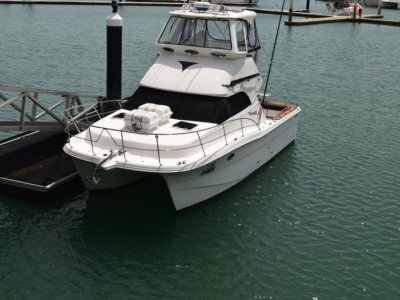 2010 Model 32' Flybridge Charter / Fishing / Diving Vessel - Also make great family boat. 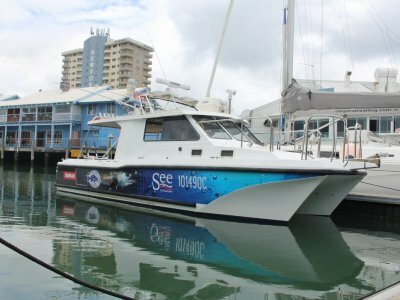 AMSA Certificate of Survey for Australia wide in 2C : 10 + 2. This rig has only done 210 hours from new. Twin Cummins 330 hp Diesel mains through v-drive shafts. Cruise 22 knots at approx 85lph. Brand New . 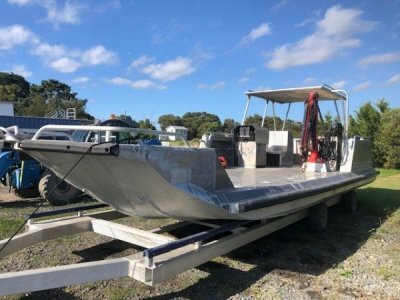 . .
28' Sealife Aluminium Plate Boat - Perfect reef boat or offshore explorer. 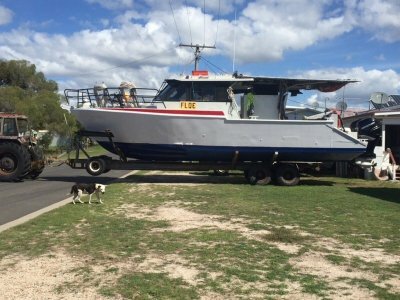 Designed by Sealife boats and built by well known boat builder Col Svensson. Launched in 2016 and only done 267 hours since. 6mm plate hull with 4 mm topsides. 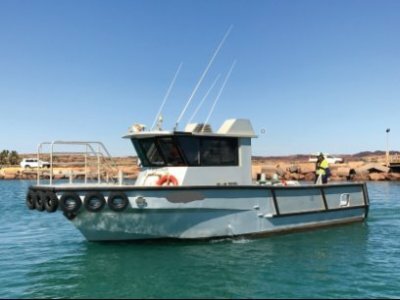 Twin 200 hp Suzuki Four Stroke Outboards giving economical . 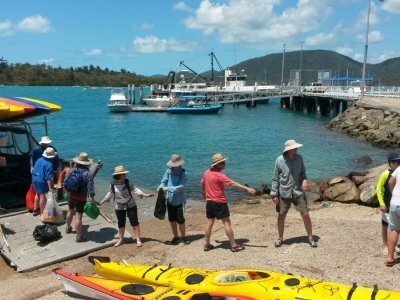 . .
ONE OF A KIND BUSINESS FOR SALE IN THE WHITSUNDAYS For the first time in ten years, we are happy to offer this unique and successful business for sale. 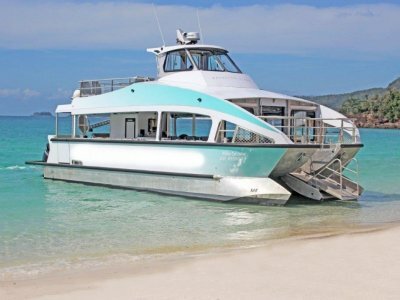 Whitsunday Island Camping Connection with the vessel Scamper has built an enviable reputation for delivering a transfer service to . 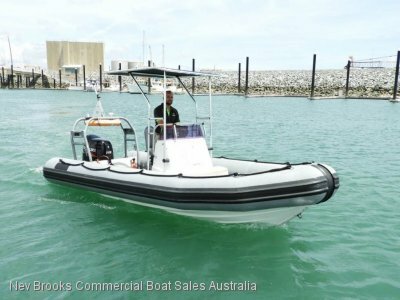 . .
5.16m Gemini Rib launched in December 2013, currently has AMSA Certificate of Survey 2D for 6 persons. 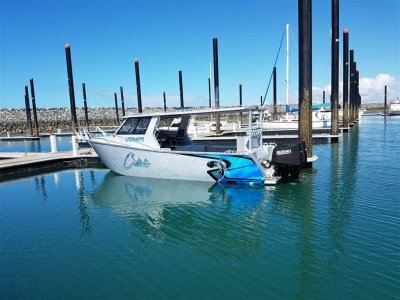 Powered by Suzuki 140HP Four stroke engine ( approx 50 hrs ) producing 40 knots sprint speed and 25 knots cruise, complete service record & very well maintened. Comes with licenced trailer, . 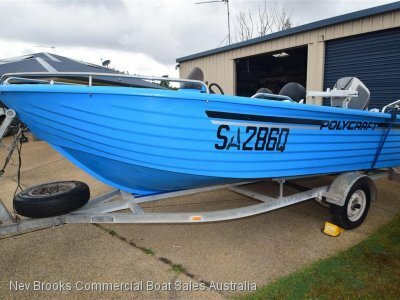 . .
2008 model - 4.8m Polycraft ready to go fishing. Honda 75 Four Stroke Outboard with only 385 hours on the clock. 70 litre fuel tank. Hydraulic steering. Four blade stainless steel prop, Haines Hunter custom seats. 2 x Lawrance sounder / plotter combo units, GME VHF Radio. Bait board. Registered . . .